Additional Clarinet Part for Viola and Piano Version. 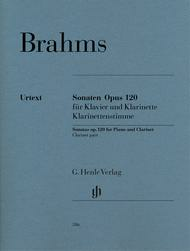 Composed by Johannes Brahms (1833-1897). Edited by Monica Steegmann. Sheet music. Henle Music Folios. Pages: Clar Part = 16. Classical. Solo part only (softcover). 18 pages. G. Henle #HN316. Published by G. Henle (HL.51480316). 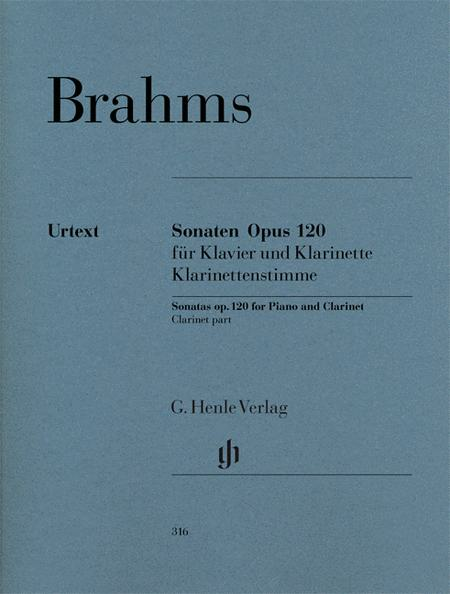 Can be used with item 51480988 (edition for viola and piano). Excellent edition, although it would have been nice to include the piano parts.